I spent the better part of yesterday afternoon painting my porch. I was going to take a picture of it so you all could be proud of me, but not only is it raining here, the battery in my camera needs to be charged...so you'll either have to trust me or wait until Monday when I will hopefully have a photo. In the meantime, you can see a bit of the railing from the porch in this photo, and you will have to agree that it was in dire need of paint. This is something I had to do before the lovely leaves of Autumn turn into the bitter cold of a New England winter. For those of you that have to deal with snowy winters...it is now the time (unfortunately) to think about preparing the house. Sounds fun, no? What sorts of things are on your lists? And while we're talking about preparation....it hasn't escaped my mind that October is Breast Cancer Awareness Month. This photo is of my Mother-In-Law and her sisters and mother. See that cute l'il punkin sitting on her mother's lap, that's my Mother-In-Law! She is truly one of the most beautiful women I have ever met. And you know what more? She's one tough cookie, that lady. She is both a breast cancer and a colon cancer survivor! She's a fighter. Thanks to aggressive treatment, she's still here with us. Thank Heavens, because I'm not sure what we'd do without her. In honor of her, and the wonderful influence for good that she is in my life and the lives of my family and many others, I want to remind all of my wonderful readers to please make sure you do self-exams and get annual mammograms if you are over 40. Okay, lecture over. Luckily we are in Texas and really have no winter more of a chilly fall. So not winter prep here just hoping that we are through with days in the upper 80s and lower 90s. What a great picture! I glad we don't really have to prep for winter. Good luck I hope you get it all done. Here in Ga we don't have major prep to do for winter; however, this time of year, we tend to do most of our outdoor stuff since it's not so hot! Next weekend all of our storm windows come off, window trim and cornice is painted. While hubs is painting I guess I'll be cleaning the windows!!! Sounds like your MIL is an amazing woman. I love the old picture! It is a beautiful picture. We don't have snowy winters here just an occasional snow. So we don't have to do much prep at all. What a wonderful tribute to your MIL. She sounds amazing! I love that photo!! As for this weekend....my husband is out of town so maybe I will actually start on that baby book? :) Who knows! My grandmother passed away from breast cancer and my mother has had it twice. Having a double mascectomy this last time. Gee our lists look surprisingly similar....hmmmm maybe it's because I'm from New England too and facing the same LOOOONG COOOOOLD winter! It's so sad when the leaves fall and we know whats coming! Thanks for stopping by my blog on my SITS day. What a blast it's been meeting so many new people...especially neighbors like you! And you were right...the porch did need a tiny bit of paint! We painted the front door and our very old garage doors yesterday to try to get them through another winter yesterday! 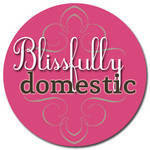 Stop by my blog when you have a chance, I have some blog love to pass along to you! Your pictures is precious! Your mother in law has the sweetest smile! What a testament to her courage to fight cancer as she has. My dear friend just finished her last treatment for breast cancer and will have a double masectomy in the next month. She has remained very sweet through the entire ordeal. I stand in amazement and only hope that if I am ever faced with such a trial that I too could be as strong and brave as these ladies have been. My list also includes cleaning out the garage so I can get cars in there! The photograph is wonderful and it is neat that you have such a good relationship with your MIL.